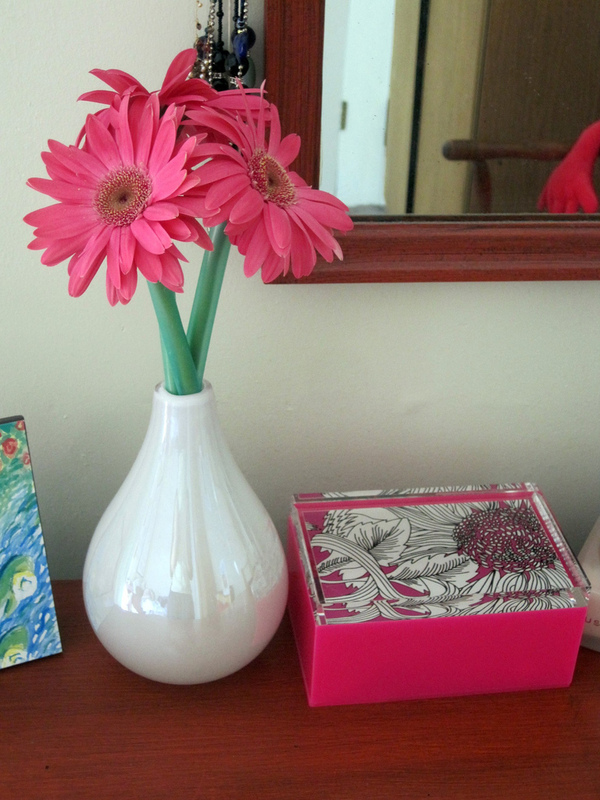 The boy bought me these perfectly pink gerbera daisies (that he picked out all by himself! )...they make my heart sing :-) I posted the picture and a friend and mentor commented, "What a special man that gives you such beauty." A man that gives me beauty, as in beautiful physical objects...what a blessing! To have someone that I love, bring me things that I love, things that he knows will make me happy, just fills me. He wants to make me happy and to bring me beauty. He wants to make my heart sing and to see my face light up. Such a small thing that can make me happy all week! A man that gives me beauty, as in, makes me a more beautiful person...what a blessing! Someone who makes me shine from the inside-out. A man who sees my femininity and works hard to make me feel like a beautiful woman...and tells me every day that I am beautiful and worthy. That makes me long to be more beautiful for him...more beautiful physically, emotionally, and spiritually, as a woman of God. He makes me long to be closer to God!That is the way it should be. Girls, our men should absolutely make us feel that we are God's feminine and beautiful women. We are our man's feminine and beautiful woman too....inside and out. He spurs me on for the Lord! Don't settle for any less in a man.